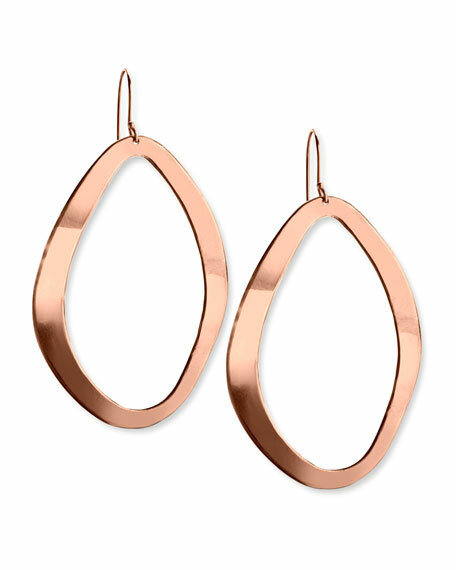 These rose gold Ippolita earrings combine fluid lines with naturalistic details for a one-of-a-kind feel. They're the perfect accessory for elegant looks with an edge. 18-karat rose gold and sterling silver alloy. Approximately 2 1/4"L x 1 1/2"W.